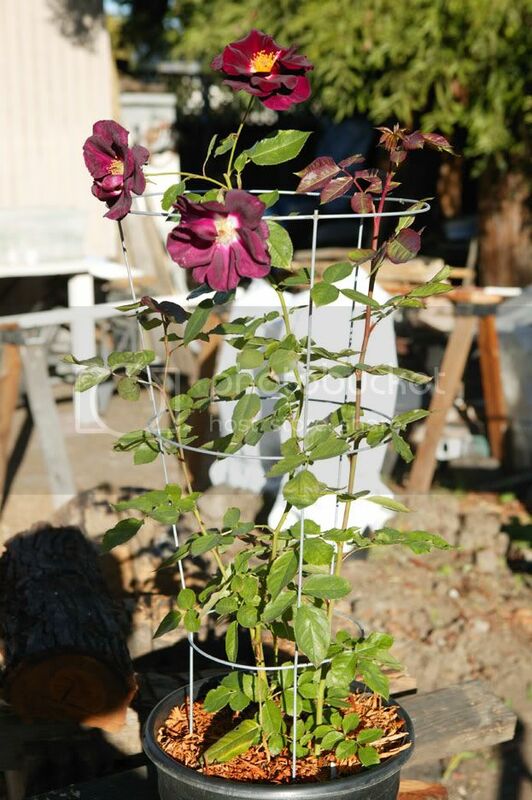 Help with growing roses from cuttings? I am novice, so forgive please some probably dumb questions. I am trying to grow new roses from cuttings I made from my rose bush. I tried to do everything as described in a lot of postings on internet, except probably most important thing, I made plastic cover to keep moist kinda late. Anyway, 3 of 4 cuttings gave new grows. Two of these tree gave new grows a bit earlier and they been under plastic (I used 2L Coke bottles). Third one was without plastic and gave new grow just a bit later. New grows been very nice and I thought that most important task is done. Then, after about a week, First two plants which gave growing start suddenly die. Leaves been very small and start to die. No yellow color, but still die. Third plant which gave new grow later is still fine and its leaves became bigger and they are nice as I think. I do not want repeat my errors again, so probably somebody can tell me what happened. A few days weather was very hot here, around 95-105, but I did not keep cuts under direct sun. Heat can be a problem when inside a bottle. It is like being inside a car with the windows almost shut on a hot day. Other ideas/questions... I was wondering if you used root stimulators and how much? Also, did you apply anti-desiccant sprays? Have you fertilized in some way or applied fungicides/insecticides nearby? I hate to disturb the cutting but I also wondered if there was a root problem (root rot) too. PS - A word of caution. If the mother plant is a grafted plant, its root stock may withstand cold and heat better in your zone that a plant grown own-root. If grown own-root, the new plant may be less winter hardy than the mother plant is. A way to tell if this may be a problem would be to see if someone has determined that already. 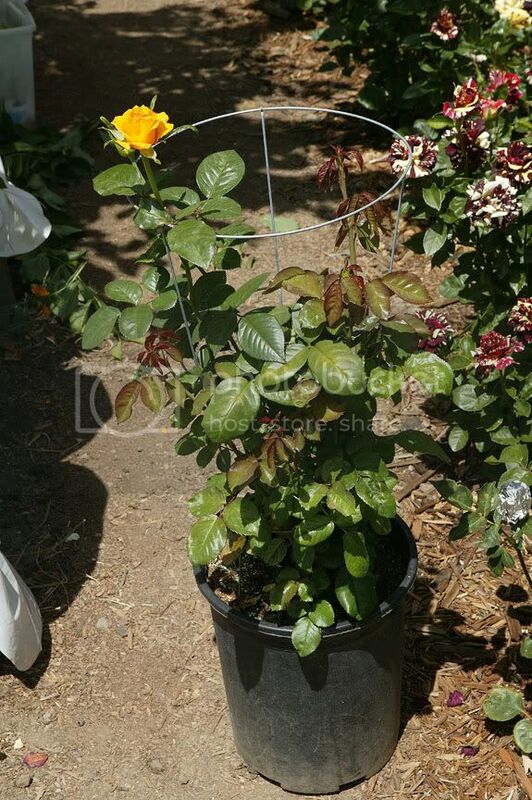 I would go to rose nurseries that grow roses own root and see if they sell this same rose. Then I would check what winter hardiness claims they make for it. Thank you, Luis for response. I used Shult's Root Hormone for cuttings. How much? Just dipped once and then shake off excess of it. This cuttings have been taken from my bush which I have already couple years. My neighbor gave me that bush when he moved out. I never applied anti-desiccant sprays. I do not know what kind of roses I have, but I do know that they bloom more than once in a summer. This spring first blooming was gorgeous, then other blooms were much weaker. You might want to try a method that I came up with. Here you will see the cuttings in a clear storage container that is filled with water and a fish tank heater that you can get at walmat for ten bucks. I built the platform that the cups of water and cuttings can rest on so they don't float on top of the water. The water is 80 degrees and provide a humid environment. Here you will see the prep for the cuttings. 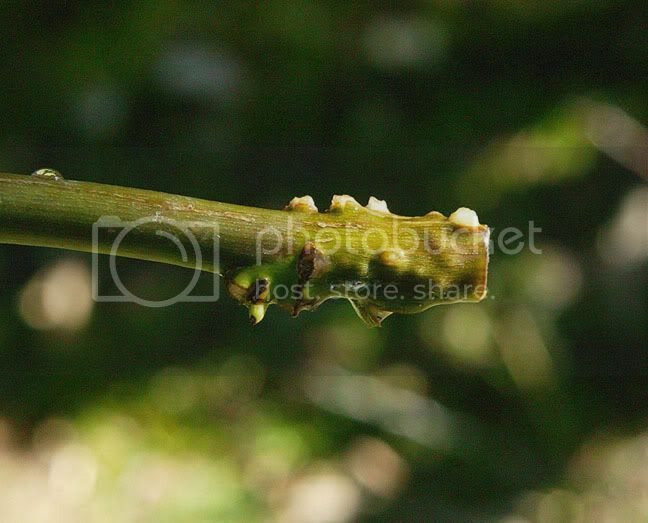 I remove the last leave at the bottom to expose the bud eye for the hormone and I remove the thorns as well because sometimes the roots grow from the thorns. I place the cuttings in the cups of water for two weeks with the lid on and I place the container under a tree so it gets speckled sun. During the winter direct sun. It shouldnt get any hotter than 90 inside. So use your judgement. After two to three weeks I gentle remove the hormone with water and then put it back in a clean cup of water for another two to three weeks. At this point you will see this on the stem. Another two weeks you will see this. 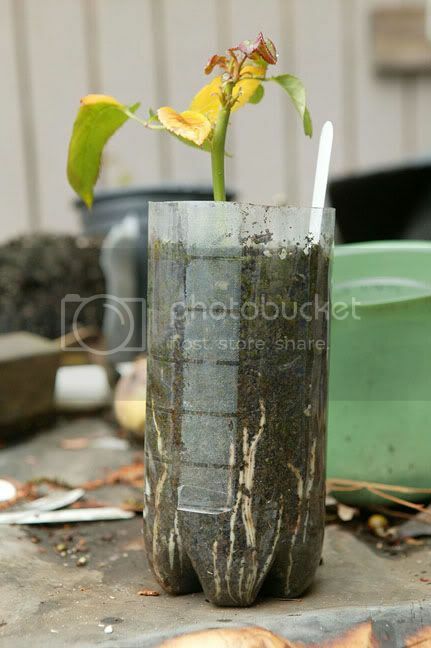 Once the roots have grown this long I plant them in a container like this. Place back in the humid environment. Once the roots reach the bottom, water it and slide it out and plant it in a 5 gallon pot and place a tomato cage in and place a clear bag over the top in winter, semi opaque white bag in summer. Tie it shut at the bottom with some speaker wire or rope. Cut a small quarter size holeat the topto water it once a week. when observing the progress always expose the plant at night when it is cool never during the day. In about two months you will have a three foot plant. When you expose it to the air permanently, remove the bag at night and place it in a cool shady area for two or three days. Then you can expose it to the sun. Wow your technique here is really fascinating, dbang. One point I want to clarify -- you are in San Jose, Calif. correct? ...and you mentioned you have done this this in winter and summer and that you kept them outside -- is that right? So obviously for some of us, winter temps would be too severe outdoors. How long does it take from cutting to 5 gallon pot/planting out in the ground stage? Given a limited window/timeframe in the year, what do you think is the optimal outdoor temperature range to start the cuttings? You have been posting a lot of interesting information! Thanks in advance for following up on my questions. Yes I live in san jose ca and everything is done outside. I do this process any month of the year. But taking cuttings from the yard in january-april is not a good time because the leaves have fallen off or in such bad shape because of the cold and lack of sun. But I grow some roses in the tent environment with the clear bag and they do very well so I can take cuttings from those any time of the year. During the winter dec-feb the water in the cups will freeze but it doesnt seem to stop the process. If you use the fish tank heater the cold wont be a problem. When you plant it in the soil the clear bag will keep it 20 degrees warmer inside the bag. So if there is snow on the ground but the sun is out this process will work. Typically between 45-95 will work but I believe the best would be 65-75. The process is typically two weeks with the hormone on and then another two to three weeks without the hormone, then roots will show. Plant in dirt when roots show. Another two for the roots to go to the bottom of the clear container. plant in 5 gallon. so total 6-7 weeks to the 5 gallon. I let the plant grow in the 5 gallon for four to five more weeks and remove the blooms as they open and enjoy them on the table. I typically cut the blooms back 1/4 or 1/2 the length of the new growth. Let them grow another 4-5 weeks in the bag environment, collect the blooms. The mini floras that I grow typically will bloom twice then at the third bloom cycle it will grow to tall for the bag environment so after the second bloom cycle I will prune them and then expose them to the night air for a couple of days and acclimate them. After two or three days they will be ready for full sun. If you see the foliage wilting bring it inside to a cool place but two days should do it. Again these are mini floras so minis can stay in the bag longer and that is recommended to get greater stronger growth. The longer you can keep it in a hot humid environment the fast the growth. Grandifloras will outgrow the bag the second bloom cycle. I also use about 10 ounces of alfalfa to the five gallon to encourage growth. Here is a picture of a grandiflora growing 12/21 that was rooted 10/2. so 11 weeks old. Here in the ground 11 months after rooting. That is a yard stick leaning against it with six stems. Bucket I use, and the sun and shade ratio. Thank you very much for interesting info and pictures. I don't have much experience (it is better to say I do not have it at all). I have another questions now and probably somebody can answer. I live in the New York and now temperatures at night can be about 29-31. I brought my rose growings into the house cause I am afraid that about freezing temperatures can damage them. 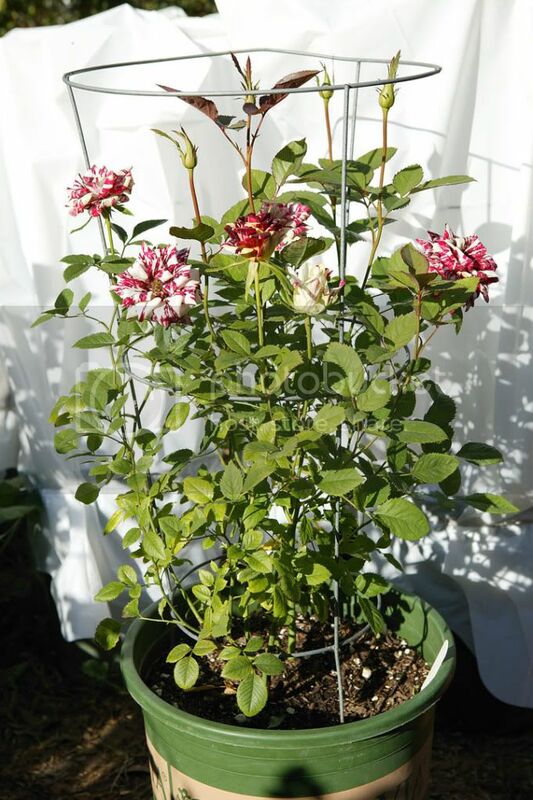 I thought I will move my roses into some cool but not freezing temperatures place like garage for the winter and make them dormant, but I am not sure how much light they need for this period, and it would probably too dark in there garage has a small window. 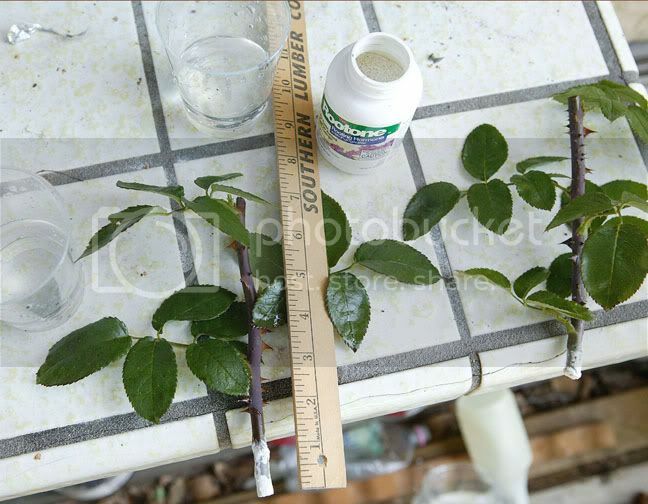 Also, when I placed roses in the house, they been attacked by spider mites and it never happened when they been outside. So, I am not sure, should I leave roses outside (a lot of light, but can be cold) and probably bring them inside only when temperature will be really low, or keep them inside the house next to my slide door (that place has less light but practically constant temperature about 62-69), or try to make them sleep somewhere in the garage (darker and temperature can be about 33-34, but never freezing. 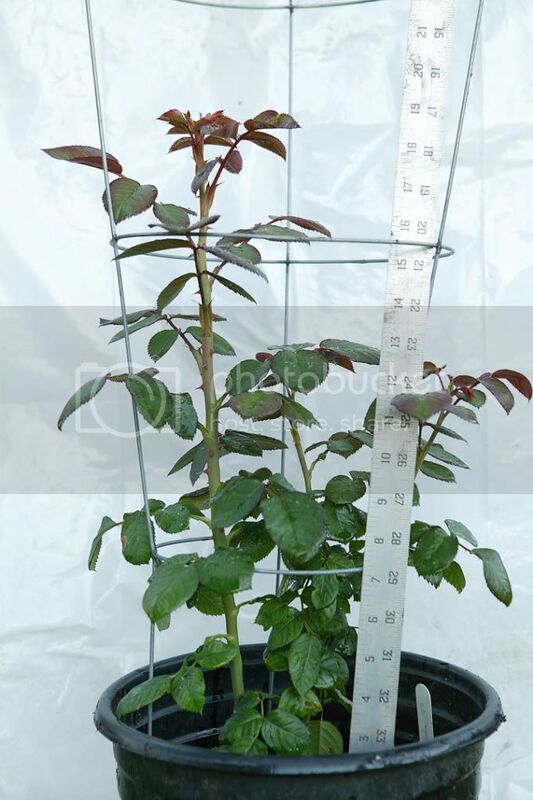 Are these roses that are mature or are we talking about cuttings that you are trying to root. If they are cuttings they will never take in my opinion because of the lack of sun. The warmth and sun light is what is going to get them going and then really take off once they have established themselves. 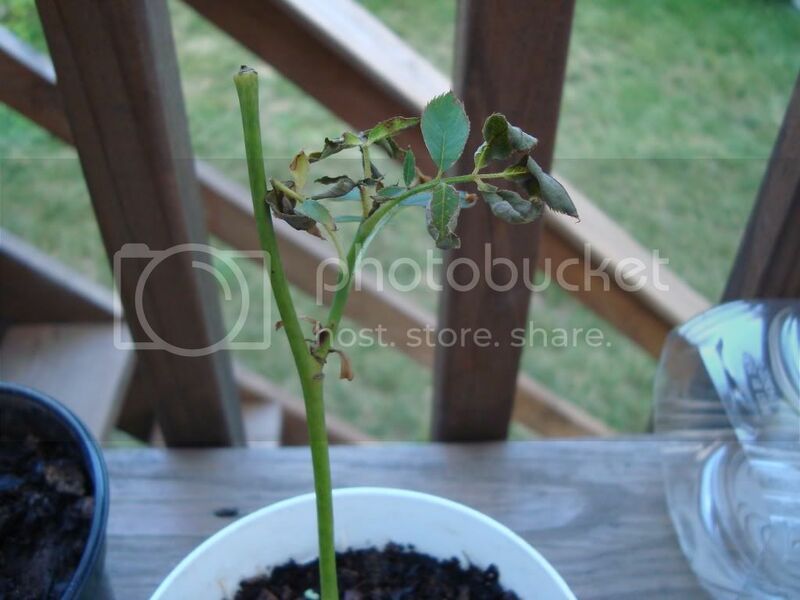 If you are taking about potted mature roses that still have foliage on them and you put them inside and expect them to grow, they will not because of the lack of light. More or less they will drop all their leaves and go dormant and may get confused and try to send up new shoots if they are getting the cold treatment and then brought inside where it is reasonably warm and sunny. If you are concerned about freezing at night and loosing the plant you might want to move them in the garage at night and move them back out in the day. I personal don't have much experience with having to worry about freezing temps because I have given away all my grafted plants and made cuttings of everything I have. So if we get a hard freeze everything above ground maybe lost but the part that is underground will survive and it on its own root so I don't have to worry about the rootstock surviving and the rose graft being lost. I have seen videos where people in subzero temperatures prune their plants back nothing hard just normal 18-24" from the ground and pile leaves on top and bury it and then place a blanket, trash bucket or any cover over it and then a couple bricks or boards to hold the cloth down for the winter. My understanding is when it is cold and you prune it back and strip it of its leaves it knows to go dormant. I think the key is striping the leaves. 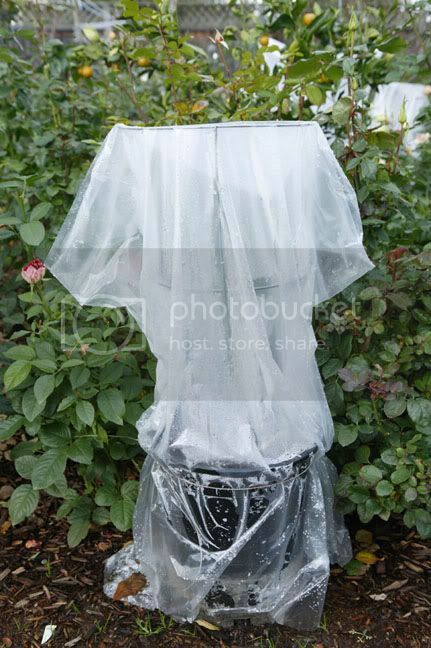 If I lived in an area that snow came down and were to bury my roses I would probably use this method of protection. I think people in your area would be more knowledgeable on this topic. Hopefully someone drops by to help. So this is certainly do-able... And earliest finished plant may go in the ground and, with sufficient protection, may be able to overwinter. If you have a greenhouse that can be kept above say 20Ã‚Â°F, definitely do-able? 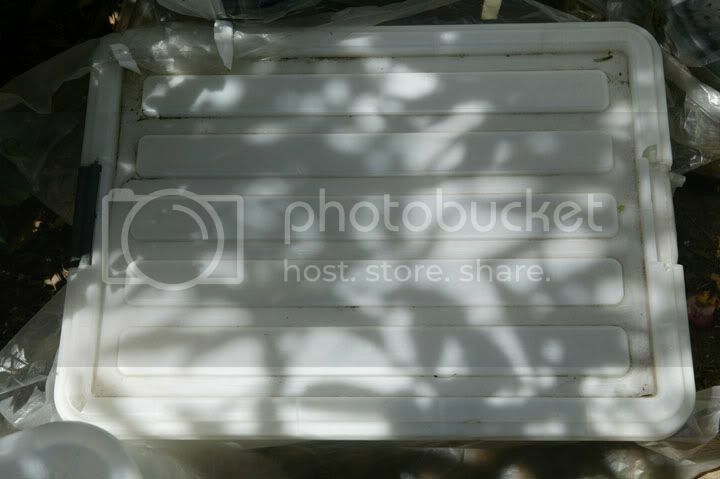 not having a greenhouse myself, I can't say for sure, but I've already emailed a friend who might have a better idea. What you said about own-rooted cutting grown plants is an interesting plus. Oh! Sorry I was all excited I forgot to say -- thanks for the detailed response! 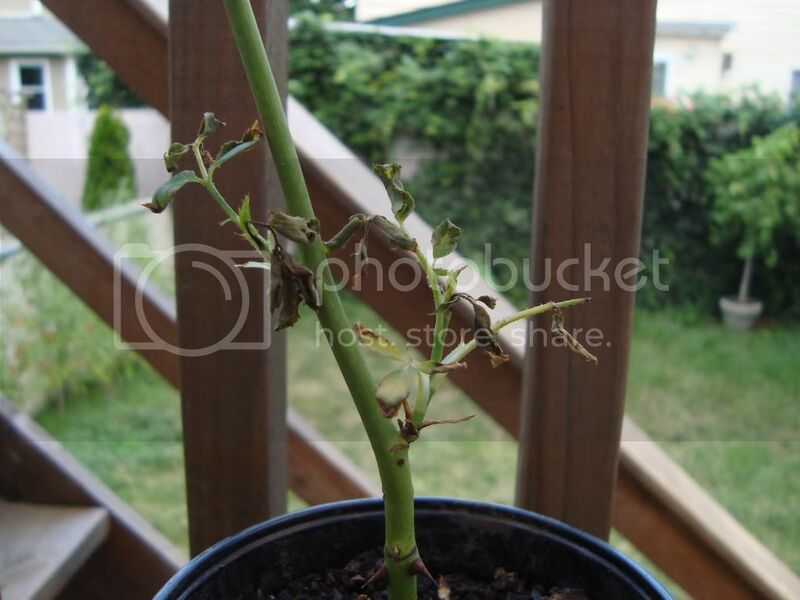 dbang10 wrote: Are these roses that are mature or are we talking about cuttings that you are trying to root. If they are cuttings they will never take in my opinion because of the lack of sun. The warmth and sun light is what is going to get them going and then really take off once they have established themselves. 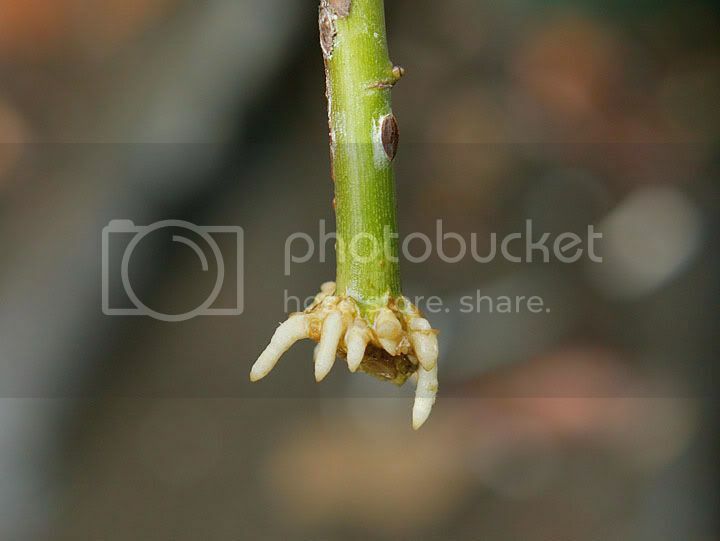 If you are taking about potted mature roses that still have foliage on them and you put them inside and expect them to grow, they will not because of the lack of light. More or less they will drop all their leaves and go dormant and may get confused and try to send up new shoots if they are getting the cold treatment and then brought inside where it is reasonably warm and sunny. If you are concerned about freezing at night and loosing the plant you might want to move them in the garage at night and move them back out in the day. I personal don't have much experience with having to worry about freezing temps because I have given away all my grafted plants and made cuttings of everything I have. So if we get a hard freeze everything above ground maybe lost but the part that is underground will survive and it on its own root so I don't have to worry about the rootstock surviving and the rose graft being lost. I have seen videos where people in subzero temperatures prune their plants back nothing hard just normal 18-24" from the ground and pile leaves on top and bury it and then place a blanket, trash bucket or any cover over it and then a couple bricks or boards to hold the cloth down for the winter. My understanding is when it is cold and you prune it back and strip it of its leaves it knows to go dormant. I think the key is striping the leaves. If I lived in an area that snow came down and were to bury my roses I would probably use this method of protection. I think people in your area would be more knowledgeable on this topic. Hopefully someone drops by to help. These roses (I have 4 of them) already about 5 months old, 2 of them gave me flowers already, can I call them mature? They are in pots and I want to plant them in a ground at spring and give them more space to grow bigger roots. I will do that as soon as possible. It is hard to me to move them everyday from outside to inside and back, that's why I still keep them next to my kitchen slide door. @oldgamer, as I implied in my post, and IME, these borderline USDA zone plants and still-in-tender-growth-phase plants (i.e. typically will not survive our winters without heroic protection) are always tricky to get through the winter. Their roots cannot survive our winters yet where they do, they tend to be deciduous or even die down to the ground and start afresh in spring. And kept green indoors in weakened state, their upper growths are prone to any number of pest and disease problems. I'm not experienced in rose care, but have tried many other species, and the plants that want 40-50Ã‚Â°F winter high temps are the hardest to keep indoors... And those that survive deciduous and dormant in upper 20's to mid-30's often NEED that winter rest. But that's always so scary to let them go dormant, and they require a degree of specialized environment that is difficult to replicate indoors. If you search for some of my posts on winter rosemary care, you may be able to adapt the method for your roses. Also, definitely go check out the winter care recommendations for deciduous Bonsai in cold climates in the Bonsai forums. Keep us updated and good luck! I'd love to see you succeed with your propagation attempt. I'm definitely going to put this on the top of the list for my NEW PROJECT! ideas. Thank you very much, I will read whatever you recommended. I will post the results. I think I can give some update what is going on. It was a big fight to keep my roses alive at home. They were very weak and I lost one plant. If I knew that winter would be that warm, I just plant them outside of the house. Sometimes I could not understand why leaves don't look good, is it not enough of water or is it too much of water. I tried to water them approximately 2 times per week. At some point (in February I guess) I started to spray roses with some fungus/spider mites killer and it helped a bit, but it was too late. Finally, I planted 3 plants outside on 3/18 and I think they are better know. I mean at least they do not look bad, and one plant which lost all leaves to the time of planting has already one new and fresh. Interesting, that when I cut my old rose outside last fall, I decided to make a test: I just took one cutting, and planted it outside using a root powder. Then I never watered it or did any special to it. And now it shows some vital signs! 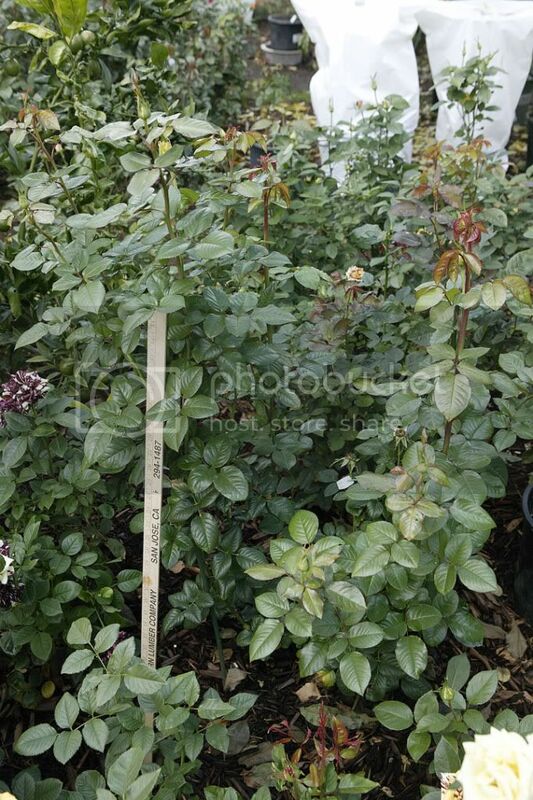 Usually as you know Roses are grafted usually on to a wild rose root stock so you get better growth. When taking cuttings always take below a leaf joint or node ( inter nodal cutting are taken on clematis for example) leave 2 sets of leaves on or 2 leaves this helps photosynthesis and minimises water loss( compared to leaving all the leaves on, also take thin sliver of the bark off the cutting with a Stanley knife ( wounding) this reveals the cambium layer which aids rooting, lightly dust with hormone powder, and slide down the side of a pot not directly in the middle this gets air the cutting and is usually warmer, keep in warm draught free place out of direct sunlight and keep moist not water logged and mist the leaves with a spray gun regularly. 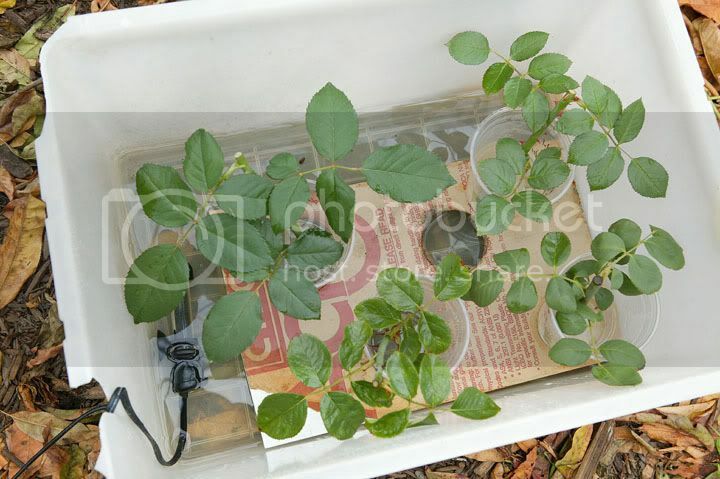 Roses will also take using the hardwood cuttings method. 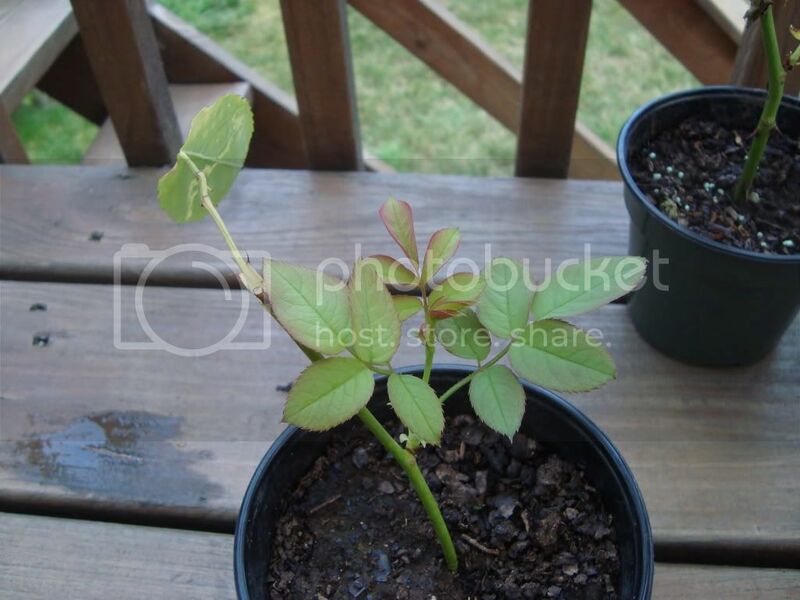 Re: Help with growing roses from cuttings? When is the best time to do a cutting? We have some roses that had been at my grandmother's house, and my mom had made cuttings fro those to plant at our current house. I know very little about gardening, but I would really like to try to make cuttings of the plant for my family members who would like to remember my mom. Any tips for making rose cuttings would be wonderful.